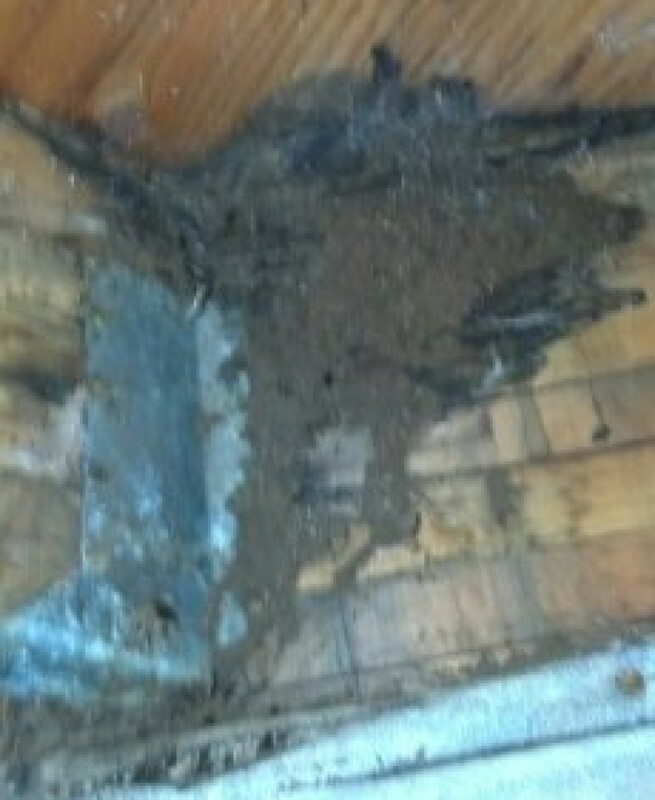 http://ampmexterminators.com/ Rodent will destroy insulation in a crawlspace. 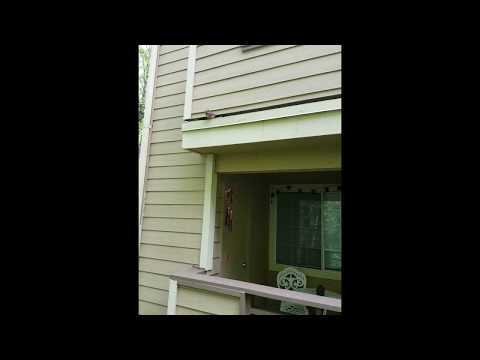 How Much Does It Cost To Remove Or Exterminate A Rodent Rats Mice Mouse? 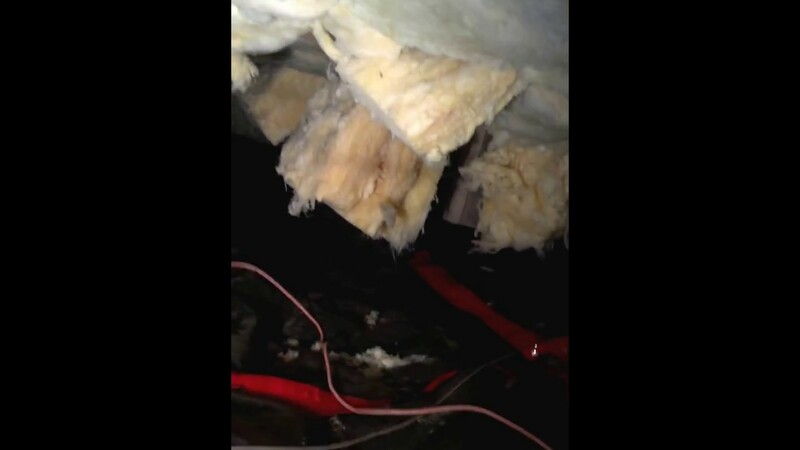 Rodent will destroy insulation in a crawlspace. Depending on the magnitude of Rodent infestation Rats and mice are the rodents most often found in houses. An exterminator will perform an initial examination to identify what pests are present, where the entry points are, and setting traps. This visit should cost anywhere between $90.00 and $250.00. After this you should receive a written estimate for continued treatment. This should include sealing points of entry, traps, clean-up, and repairs or decontamination if possible. It should also include any recommended continued treatment. This costs between $200.00 and $500.00 depending on the size of the property and infestation. House mice prefer to make their nests in well-secured, dark areas where materials to form their nests are readily available and plentiful. This means inside insulated walls and attics, as well as dark closets, pantries and basements. Especially if food and shelter are available close by, a colony of house mice may not venture far from the nest. However, the signs of their infestation are generally clear, as mentioned above: droppings, burrow telltales, and destruction of foodstuffs foremost among these. The North American house mouse is not only a destructive pest but also a potent disease vector, generally spreading pestilence with their droppings or urine (especially problematic if these are left undetected in compromised foodstuffs). Pest control inspection will help you determine the type of rodent you’re dealing with, their patterns of activity, what’s bringing them inside your home, and most importantly – which rodent-control product to use for eliminating them. The first step to getting rid of mice or rats is figuring out which rodent you’re dealing with – and how many there are. Before you take any steps to control a rodent problem, be sure to inspect the premises inside and out. Conducting a thorough inspection will be critical for helping you decide which method of control is right for you. Rats can be a problem in the home. Unfortunately, you may not see them until there is a big problem and it becomes more difficult to get rid of the rats. Rodents can cause a great deal of damage, contaminate food, and carry disease. Fortunately, there are ways to effectively kill the rats, with the two best ways as traps – including both open and enclosed rat traps – and baits. The first step in ridding your home of rats is finding where they are living. Because they are nocturnal— most active at night, rats aren’t often seen in the open during the day. But, it is easy to see signs of their presence. Rats and mice are not only a nuisance but can also cause property damage and transmit diseases. You’ll know they’ve arrived if you see rodent droppings near a food source or shredded fabric or paper. If you identify rodents, there are several steps to take to ensure permanent removal of these pests. Removing rodents with traps or poisons will not keep rodents out of your home in the future. To permanently keep rats and mice out of your home or business, you will need to prevent access by sealing all possible entry points. It is equally important to eliminate rodent attractions such as food and water by keeping food in tightly sealed containers and repairing leaky pipes. 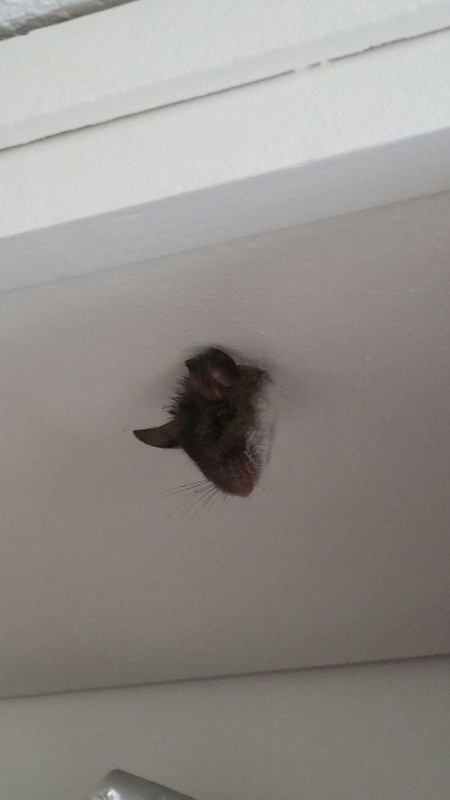 Mice can find a way into your house pretty easily. They can fit through a hole the size of a dime. That’s why it’s important to seal any cracks or openings around your foundation, windows, garage, or anywhere else. If you have rough siding on your house, such as brick, they can climb right up to the second floor without any problem, so be sure to check for openings at that level as well. Rats have been a problem for people throughout history. They eat or spoil crops, can spread disease, and damage property. There are stories of old wooden ships sinking because rats had gnawed through them. Every year, thousands of people in this country suffer from rat bites. Inspection by our highly-trained rodent inspectors will efficiently identify rodent entry points, followed by an immediate rodent control trapping system installation by our mice and rat control expert. Rats and mice enter the home, it’s not just a nuisance. Rats and mice carry more than 35 diseases that can affect humans. Their dried feces, urine and even saliva can spread germs in the dust that can infect anyone who disturbs the dust surrounding their nests. Plus, they can do serious damage to the insulation and wiring in your home, causing fire hazards. Exclusion is an important rodent control technique. It will get rid of the rats by making it difficult for them to enter the home or structure. Rats are easier to exclude than mice because rats a typically larger. Mice can enter an opening as small as 3/8″ wide. All openings greater that 1/4″ should be sealed to exclude mice. For rats, all openings greater that 1/2″ should be sealed. Trapping does have some advantages over baiting. It provides an alternative for those who do not want to place rodenticides. If the rat population is small enough, trapping can yield quick results when done properly. Finally, trapping ensures that you can dispose of the dead rats before their odor becomes a problem in an inaccessible area. 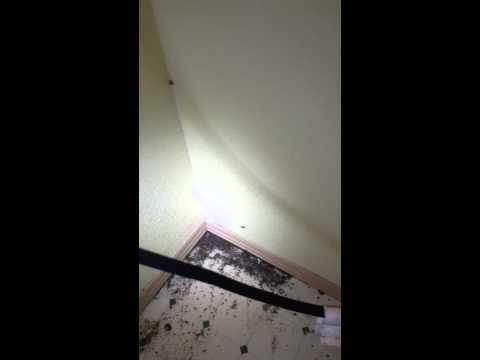 Inspect your commercial building and home thoroughly for a rat problem. Is there evidence rodents are feeding on fruit/nuts that are in or falling from the trees in your yard? Do you see burrows among plants or damaged vegetables when working in the garden? 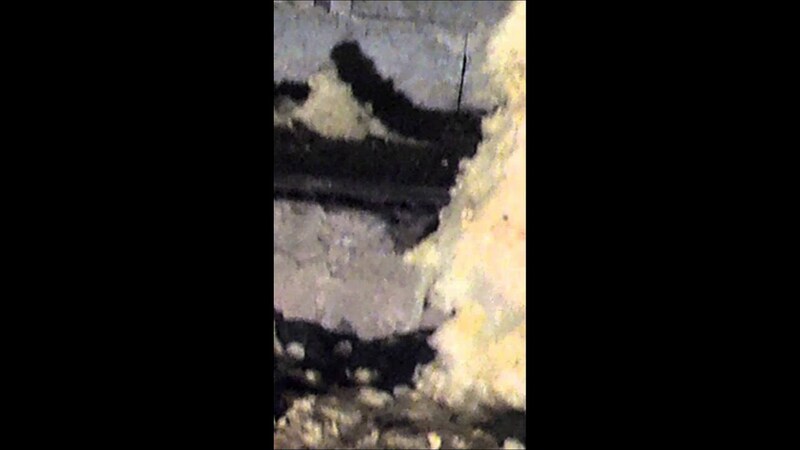 Do you see rats traveling along utility lines or on the tops of fences at dusk or soon after? Have you found rat nests behind boxes or in drawers in the garage? Are there smudge marks caused by the rats rubbing their fur against beams, rafters, pipes, and walls? Do you see burrows beneath your compost pile or beneath the garbage can? Are there rat or mouse droppings in your recycle bins? Have you ever had to remove a drowned rat from your swimming pool or hot tub? Do you see evidence of something digging under your garden tool shed or doghouse? Do you find rat droppings around dog or cat dishes or pet food storage containers? Do you hear noises coming from the attic just after dusk? Have you found remnants of rat nests when dismantling your firewood stack? Does your dog or cat bring home dead rat carcasses? http://ampmexterminators.com/ The German cockroach, is the most common indoor species, especially in multiple-family dwellings. Cockroaches are a quickly reproducing, virus and bacteria carrying insect that survive in damp conditions with a food source and shelter. Cockroach infestations are labeled as light, medium, or heavy with light being 3-5 cockroaches observed in an area during inspection, medium being 6-10 cockroaches, and heavy being 10+ cockroaches observed. Cockroaches prefer to crawl around in the dark and keep to their nests. When you find a roach crawling about in the middle of the day, there is a good chance that the nest has overflowed. For every one roach you see, there are likely 10 more that are more adept at hiding. That’s why having effective roach control services you can rely upon to take care of the problem for you is so important. Roaches can enter a home through a wide variety of methods, including on clothing. Since there are plenty of food options in a home, it’s nice and warm for their nests. This combination lets a nest thrive all year long. Why hire a professional to eliminate your roach problem? Here are 3 key facts to consider. • Most insecticides will not kill roach eggs. The nest and the eggs must be eliminate to control this pest. • Roaches trigger allergies. Hunting down roaches may trigger severe allergies through the pest’s droppings and casings. • Reproduction happens quickly. Just missing a couple of eggs is all it takes for the pest to take control once again. If it looks like you have coffee grounds on the floor or there is a particularly strange musty odor that has developed in your home, then now is the time to act. Contact us today about your suspicions of a roach infestations so we can discuss the various inspection and removal options that may be available to you. Roaches get into everything, multiply rapidly, and can survive for several months without food and up to two weeks without water. Getting rid of roaches involves more than just spraying an insecticide or putting down a bait or dust. Roaches get into everything, multiply rapidly, and can survive for several months without food and up to two weeks without water. These little pests definitely pose a challenge, but with the proper tools and roach killer products, you can win the battle over roaches by following this roach management program. The best way to get rid of roaches includes a complete roach treatment process with two basic steps: sanitation/preparation, and the actual product applications. Eliminating what attracts roaches (food, water, and hiding places) is definitely one of the most important steps to getting rid of roaches and preventing them. Most roach treatment programs will fail if this step is skipped or poorly implemented. You must eliminate what attracts roaches, including as many food sources and water sources as possible and also seal off or eliminate places that roaches like to hide. http://ampmexterminators.com/Commercial Pest Control Servicing the Hospitality, Foodservice, Property Management, Food and Beverage Processing, Governments. Moles prefer loose, moist soil, are active year round, and spend most of their time underground, which makes complete elimination a difficult task. Moles carnivores that feast on earthworms, grubs, and other dangerous insect invaders, moles are generally beneficial, though their tunneling activities may become problematic. Their tunnels cause damage to lawns, gardens, golf courses, and pastures. Though more an irritation than fiscally taxing, mole activity can turn grasses unsightly shades of brown and even prevent planted vegetation from becoming securely rooted into place. Moles may bite when handled by humans. From trapping to baiting, each method of mole control is best suited to particular sets of circumstances. For example, traps and baits can be effective but depend on placement. http://ampmexterminators.com/ Rats and mice invade homes and buildings in search of food, water, and shelter. House mice prefer to make their nests in well-secured, dark areas where materials to form their nests are readily available and plentiful. This means inside insulated walls and attics, as well as dark closets, pantries and basements. Especially if food and shelter are available close by, a colony of house mice may not venture far from the nest. However, the signs of their infestation are generally clear, as mentioned above: droppings, burrow telltales, and destruction of foodstuffs foremost among these. The first step in ridding your home of rats is finding where they are living. Because they are nocturnal most active at night, rats aren’t often seen in the open during the day. But, it is easy to see signs of their presence. Rats and mice are not only a nuisance but can also cause property damage and transmit diseases. You’ll know they’ve arrived if you see rodent droppings near a food source or shredded fabric or paper. If you identify rodents, there are several steps to take to ensure permanent removal of these pests. Rats have caused more human suffering and more economic damage than any other vertebrate pest. From causing plague epidemics to rat-bite fever, whether feeding on stored grain or gnawing electric wires, rats are enemies of humankind. Statisticians estimate that rats destroy 20 percent of the world’s food supply every year by feeding, and indirectly through contamination. In most instances, rats are very wary. Hundreds may be nesting in a city block-in underground burrows, in sewers, on roofs, inside buildings-with few people in the area realizing it. Within a population, some rats will be easy to control, some difficult. Store human and animal food in rat-proof buildings, rooms, or containers. Old World rats are very capable of chewing through heavy-duty plastic garbage cans when they can get started chewing on a corner or the lid or a handle. Use metal garbage cans where this is a problem. Rodents Mouse Rats Mice spread diseases on their own and carry fleas and ticks that spread even more diseases. Rats can also carry mites, whose populations can grow significantly enough that they feed on residents. Their populations grow rapidly, and they can chew up gas lines and even disrupt your home’s foundation. Rodent issues should always be taken care of by a professional exterminators. Rodents are some of the most resilient creatures on the planet. Unless you remove all of the pests in a short span of time and eliminate all of their possible access points, the chance you will end up with another infestation is high. Knowledge about rodent life cycles and habits is crucial for an effective removal plan. Do-it-yourself methods for homeowners rarely work for long, and poisons should not be handled without training in safe, effective use. Cornered rats will attack humans, and groups of rats can attack pets. 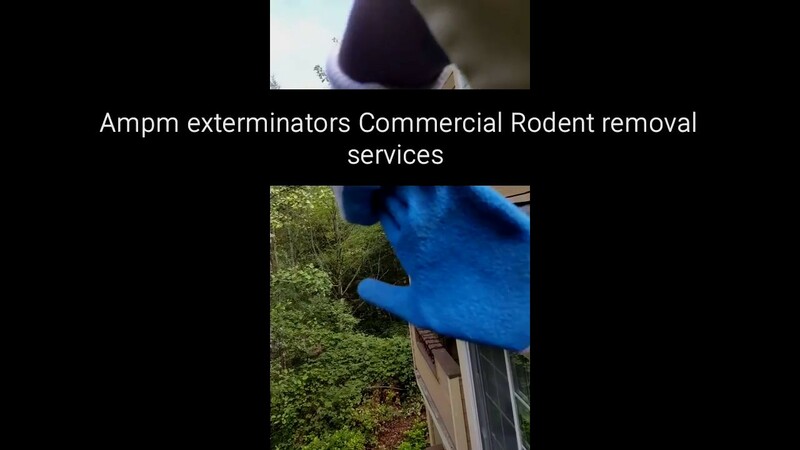 It is always best to leave rodent removal to the professionals.Buildings are different, and each type of rodent must be treated in a different way. 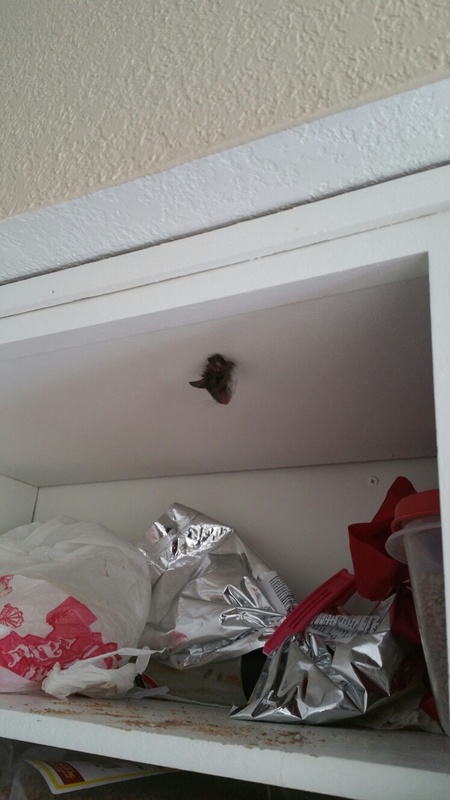 During your initial consultation, your pest control specialist will take the time to assess your problem, try to identify the kind of rodent you are dealing with and possibly offer some short-term solutions like sealing foods in thick containers and trimming branches that overhang your home. You can expect your pest control specialist to create a customized plan to eliminate your rodent problem and help keep your home rodent-free. A variety of tactics may be combined into a strong action plan. The simplest, less expensive and less invasive options are often used first, but with large infestations, aggressive treatment may be necessary.Rodents, mice and rats are problematic inside of any structure. While rodent issues will generally be more pervasive in areas where construction may be older and sanitation may not be ideal, rodents can infest any building. Recognition of a mouse or rat problem is not necessarily a reflection on one’s tidiness or cleanliness; it is unfortunately a byproduct of living in the Seattle and Puget Sound areas, and requires expertise and care to manage. Rats of either species, especially young rats, can squeeze beneath a door with only a 1/2-inch gap. If the door is made of wood, the rat might gnaw to enlarge the gap, but this might not be necessary. Successful long-term rat control is not simple; a continuing commitment to whatever solutions are adopted is required. Within a population, some rats will be easy to control, some difficult. Complete rats mice mouse control is often not possible in commercial business buildings and home structures. Rat populations may also be a consequence of community-wide activities over which you have little control improper garbage disposal, building demolition, and poorly maintained bird-feeding stations. Experienced exterminators know exactly where to look and use a wide array of tools to assist them with this task. Bed bugs travel throughout a home or building, inspections of adjoining rooms or apartments are also often required.98112. How do bed bugs get into my apartment? Bed bug in textured ceiling with droppings around harborage between popcorn texture. Bed bugs are no longer an unusual pest in apartments. bed bugs have reemerged as an important pest in the United States. Bed bugs are occasionally introduced into an apartment via luggage that has become infested from a hotel or hostel. In apartment complexes, it is probably more common for bed bugs to enter a home from a nearby infested apartment, during moving, or through picking up used or recycled furniture or mattresses. Once introduced into an apartment building, bed bugs can readily spread from one infested unit to another. 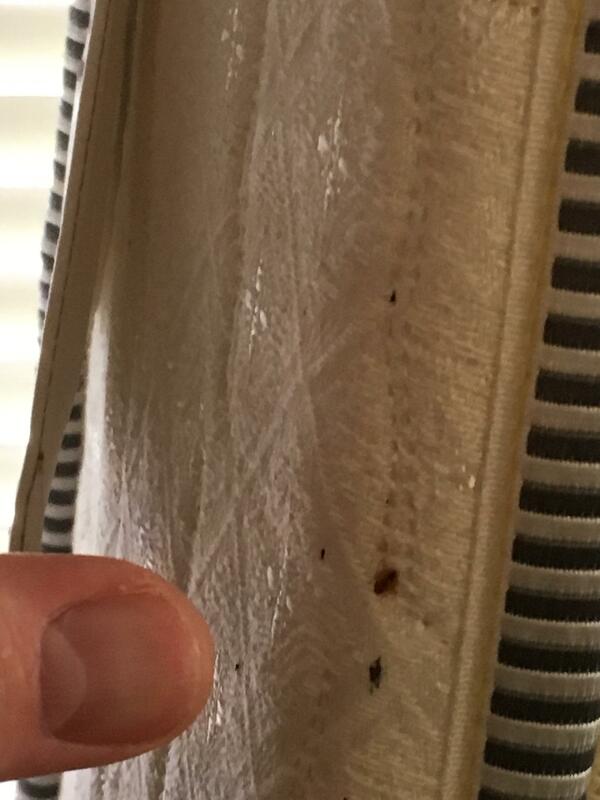 What should I do if I suspect bed bugs? If you think you see a bed bug, capture it if possible. Place in a leak-proof container, preferably with a little rubbing alcohol, and show it to your apartment manager to confirm its identity. Even if you cannot capture one of the insects, you should inform your building manager if you suspect you have a bed bug problem. If I have bed bugs should my neighbors be treated too? How do you get rid of bed bugs? If you live in an apartment or condominium, it’s best to alert the property manager right away. In multi-family housing a manager-coordinated bed bug control effort using a pest control company is generally needed. Bed bugs readily move from apartment to apartment, with many people unaware that they have a problem, so chances are that you will not eliminate a bed bug problem by yourself. Prior to extermination, remove all bedding from mattresses, gather all linens, clothing, etc. from living space. This includes any textile materials that are machine washable – pillows, mattress covers, anything – and those that must be dry cleaned. Even fabric that is in storage should be collected. Wash bedding and any clothing/fabrics that may have come in contact with bedbugs in HOT water, and dry in the dryer if possible. Wash all other linens and fabrics as directed. After washing, place items in storage bins or bags, or garbage bags. Seal as much as possible to prevent bugs from entering and hiding in the clean fabrics. Empty closets in rooms where bugs have been found, or closets in which fabrics, linens, towels, etc. have been stored. The Bed bug King exterminator will need access into these spaces. Unplug electronic devices in rooms being exterminated. This will make the area more accessible to the bed bug king technicians. Vacuum floors, carpets, nooks and crannies. Steam clean, if possible, floors, rugs (if not machine washable), couch cushions, etc. Move objects away from perimeter of rooms. For example, if your sofa or bed is positioned against a wall, pull it away from the wall. The exterminator will need access to the perimeter of the rooms where bugs have been found, (probably bed rooms, living room, den/study). Vacuum along the perimeter of the room. Empty wooden bookshelves, desks, dressers, nightstands etc., and remove drawers if possible. Bedbugs can and will seek refuge between the boards of wooden furniture. This may include coffee tables, television stands, bed frames, photo frames, and box springs. Make sure to leave the place for a space of 2 to 3 hours after the treatment is completed. Wait for all mattresses, sofas, etc. to dry before sitting or laying on them. The chemicals used by the bed bug king to exterminate the premises will rarely irritate your skin, they have a very small odor. Following extermination, seal your mattress, box spring, and pillows in airtight protective ‘bags’, often carried by mattress sellers. Use mattress vinyl/zippered cases only. Be prepared for follow-up exterminations. Bedbug king will always give you a second visit in between 15 to 20 days after the first treatment. The bed bugs are persistent, and they don’t care how much time and money you spend trying to get rid of them. We do care. Many bedbug infestations are the result of travel – people pick up bugs in hotel and motel rooms and transport them home in their luggage. Visually inspect mattresses before sleeping on them and your luggage before settling in at home after a trip. Suffering a bedbug infestation does not mean you keep an untidy home, or that you live in unfit conditions. They are extremely common and indiscriminate – presence of bedbugs does not speak to your personal hygiene habits or socioeconomic status. Remember to call the bed bug king if you get re-infested. Be sure to follow exterminator’s instructions. Success depends on you and your willingness to cooperate and follow directions, even if it means to get rid of your furniture. You cannot be too thorough. Yes, it is annoying and time consuming to prepare, but it is best to do it right the first time and avoid repeating the process should the extermination fail because the space was not prepared! 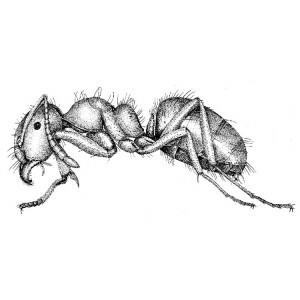 Little black ants often live beneath the foundation of a house, homeowners need to make sure that all external cracks and other small openings are tightly sealed. Residents should also keep potential nesting sites, like piles of leaves and wood, safely away from the house. Kitchen areas within the home should remain free of crumbs, grease, and standing water. Homeowners also need to store food items in sealed canisters, rinse out food and beverage containers 98032. How do I select the right professional exterminator?